Andrus Anderson LLP claims corporate policies, such as basing new employees' wages on previous salaries, have a discriminatory effect on women. 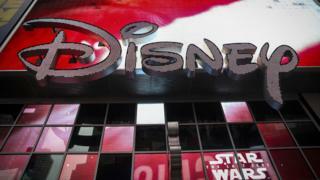 Disney denies the allegations calling them "without merit". According to the complaint, reported in Variety, financial analyst LaRonda Rasmussen raised a concern regarding her pay with Disney's human resources after discovering six men who shared the same job title were being paid more than her. It's claimed the pay disparities ranged from $16,000 per year (£12,147) to $40,000 (£30,368). "Like other companies that operate without transparency, consistency, and accountability," the legal papers - filed on behalf of Rasmussen and another woman, Karen Moore, claim, "Disney's leadership tends to value male workers more than female workers. "Taken together, Disney's compensation policies, procedures and practices are not valid, job-related, or justified by business necessity." A spokesperson for Disney - which has offices, studios and parks around the world - responded: "The lawsuit is without merit and we will defend against it vigorously,"
Lasseter apologised over email for having distributed "unwanted hugs" to colleagues. Following on from the #MeToo campaign, social media users adopted the tag #LoseLasseter.